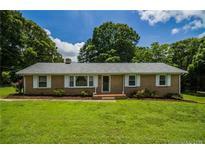 Find Fort Mill, SC Foreclosures for sale. View Photos, Maps and MLS Data Now! Stafford Oaks - Located minutes from I-77/485, Carolina Place Mall and Ballantyne (great shopping, dining and entertainment!). Fantastic location! MLS#3497466. EXP Realty LLC. Madison Green - This property may qualify for Seller Financing (Vendee). MLS#3476862. RE/MAX Metro Realty. Home is being sold "as is". MLS#3474343. Costello Real Estate and Investments. Jones Branch - This beauty has your name on it! ! MLS#3455523. Realty ONE Group Select.